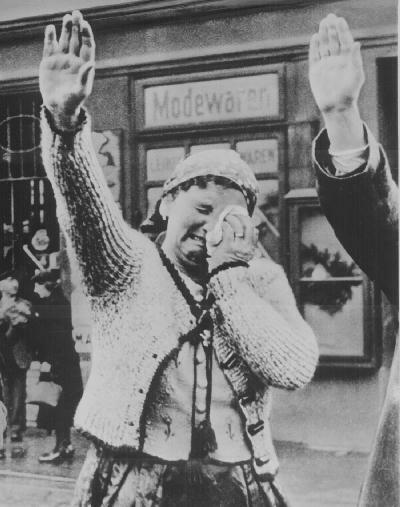 A Sudeten woman dutifully salutes parading Nazis, October, 1938. The Sudetenland was the portion of Czechoslovakia inhabited by over 3 million Sudeten Germans. Many of them became Nazis and strongly supported the acquisition of the Sudetenland by Hitler.